A new trailer, donated to the Wellington Fire Department by the local ATV club, will make it easier to deal with medical emergencies and accidents that happen where there is no access by road. 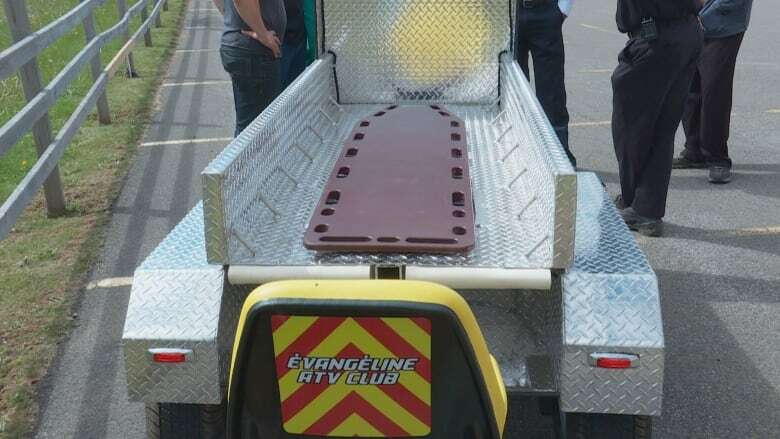 The Evangeline ATV Club raised funds to design and build the custom trailer. It can be attached to either a truck or an ATV. JP Gallant, president of the Evangeline ATV Club, said his club members realized there was a problem during a mock rescue exercise last year, which included an effort to move an injured person out of the woods. "Obviously, you can't try to put them on a bike," said Gallant. 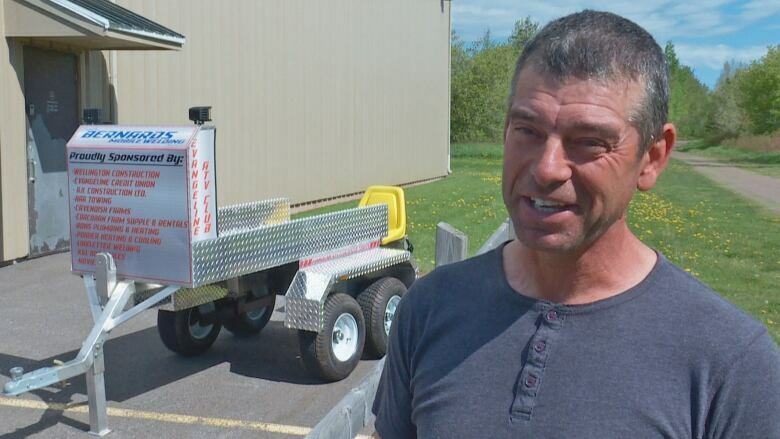 Gallant and his club found there was no ready design for a trailer that could do what they wanted, but they found some ideas online and in talking to ATV clubs in New Brunswick. They couldn't find anyone on the Island with this type of equipment. 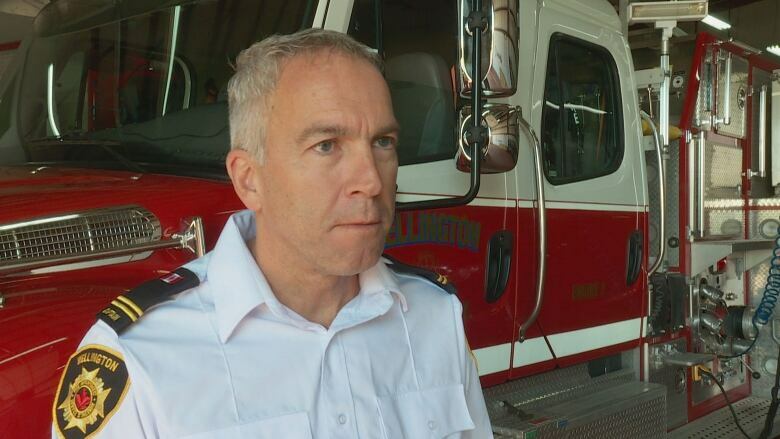 Desmond Arsenault, communications officer for the Wellington Fire Department, said the trailer will help the department get patients out more quickly and safely. "If we had to do that by hand, you would be essentially walking," said Arsenault. "You would have to walk and have several members carry the patient from point A to point B. So with the access of this new trailer, it is going to increase our response time immensely." The trailer includes space for a patient on a backboard and a seat for a paramedic to attend to the patient during transport. It is designed to go over rough terrain, and includes both running lights and spotlights to provide illumination for paramedics to stabilize a patient. "Hopefully we don't ever have to use the trailer, but if we do it'll be there," said Gallant. The trailer is ready to go, and will be officially handed over to the fire department Tuesday evening. 2 dead after fishing boats collide off southeastern P.E.I.